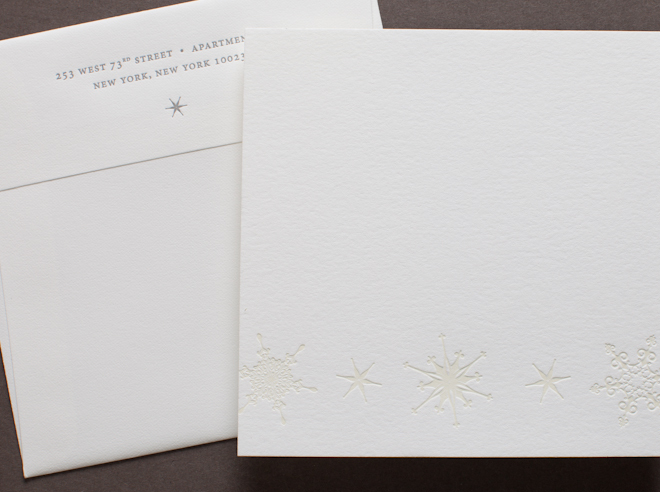 Elegant cream snowflakes printed on soft white for this winter wedding in Vermont. Wrapped in a Japanese paper with a simple waxed linen string tie. Letterpress printed in cream and grey.